You don't actually say why the Oregon and Swiss "experiences" need to be resisted. 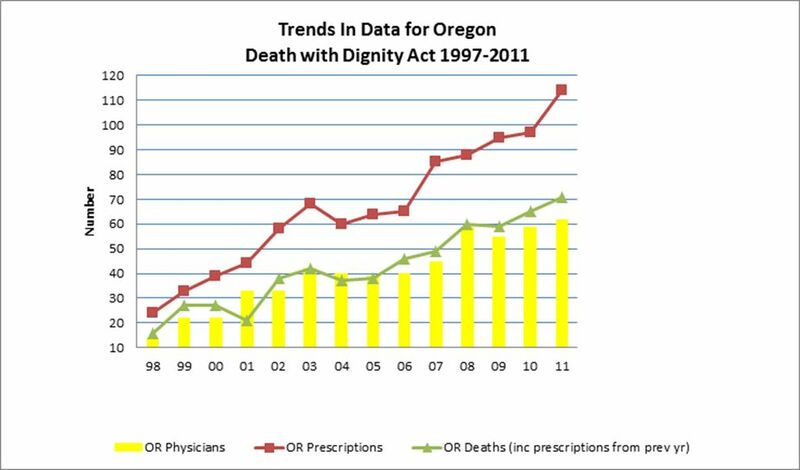 All you seem to state is that more and more people are adopting assisted suicide - AND THAT'S BAD! Just stating that there are increases isn't an argument for or against anything. At the end you say "allow[ing] assisted suicide *inevitably* places pressure on vulnerable people ...". Where on earth do you get that from? You really have evidence that people will start suggesting to their aged relatives "that it's time to consider your own suicide"? Or are you just making stuff up? Is there evidence from Oregon that this is happening? Or is it just your gut-feeling? Perhaps we could flesh out your argument by finding cases from Switzerand and Oregon of people who were pressurised into ending their lives prematurely and comparing their experience with that of UK suicides who were suffering from terminal illnesses which were not assisted. 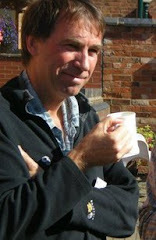 Comparing those two bodies of evidence would enable us to decide which as most compassionate. Also we could work out exactly what kinds of pressure we were trying to error trap. So the starting point would be to find some Swiss or Oregnian cases that substantiate your assertion — or even one? One of the main difficulties in providing such evidence is that the key witnesses in each case are dead and those still available to give account of pressures and motives are precisely those who would most stand to gain emotionally or financially from their deaths. I do understand the problem because the people we are talking about, in either the UK or Switzerland/Oregon are dead. The issue is about how they died, and in what context. You claim that those who died in Switzerland and Oregon were influenced by the state of the law in their country towards terminating their lives, or at ay rate their relatives (many of whom are still alive, I presume) were. All I'm asking for is some evidence for this assertion. Now you seem to be telling me there isn't any and can't be. I am underwhelmed. 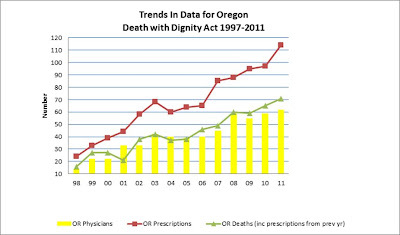 I note in passing that the proportion of Oregonians actually using their prescriptions seems to be declining slightly, but admit that comparisons are ludicrous, especially percentage ones, comparing 2012 to 1997, because it was an entirely new law, and the numbers involved are almost statistically negligible as a proportion of the whole population of either jurisdiction.